Description: Hedge fund in Norwalk is looking to hire a Jr. Trader and Analyst to work with boutique energy hedge fund. Responsibilities include generating trading ideas, producing analysis, and creating and explaining forecasts. Qualifications: 2-5 years trading experience required. Bachelors degree. Commodity trading experience. 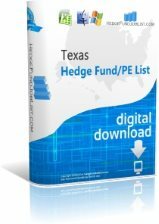 Description: Multi billion dollar hedge fund in Texas is seeking to hire an Accountant. Responsibilities include coordinating with fund administrators, reviewing investment reporting, weekly performance reporting and working with Tax Group. Qualifications: 0-2 years accounting or investment experience. Bachelors degree in Accounting, Finance, or related field. Description: Emerging hedge fund in NYC is seeking an intern to assist partners in the development of plan to target new high-net-worth investors. Qualifications: Bachelors degree required. Strong communication skills required. Easily locate and contact potential employers with a detailed list of hedge funds and private equity in NYC including address, phone, fax, executive details, emails, and much more! Description: NYC based hedge fund manager is seeking to hire a Risk Manager. Primary responsibility is overseeing the funds return analysis for the fund’s global-multi-strategy hedge fund. Qualifications: 5-7 years experience with hedge fund or investment manager. Masters or PhD in math, econometrics, financial engineering etc. required. Description: Hedge fund in Greenwich is seeking to hire a Fund Accountant. Responsibilities include calculating NAVs, prepare valuations, and plan and execute audit procedures. Qualifications: 2-3 years Big 4 experience. 2-3 years hedge fund or PE experience. Bachelors degree in Accounting or Finance. Easily locate and contact potential employers with a detailed list of hedge funds and private equity in Connecticut including address, phone, fax, executive details, emails, and much more!